for May 5th are Luminous. Mass on May 5th at 1:00 p.m.
Excerpt from Response in Christ - Chapter 4 by Fr. Edward J. Carter, S.J. 42. For a current treatment of the varied richness of the Eucharist, cf. J. Wicks, “The Movement of Eucharistic Theology” in Chicago Studies, Vol. 10 (1971), pp. 267-284. 43. The Constitution on the Sacred Liturgy, No. 10. Jesus: I call you to live your lives as devout members of the mystical body of Christ. I have given these writings that men will realize that they are to live united deeply to the Mass going on around the world. Your lives, given as an offering, a sacrifice every moment in union with the Mass going on around the world. Your life, a sacrifice, offered to the Father, in union with the Mass in oneness with Me, in the Holy Spirit through the intercession of the Blessed Mother with all the angels and saints and the souls in purgatory. Your lives given as members of My mystical body can help to bring down great graces for the priest, the Church and the world. Jesus wants to share His love with you. He comes in these letters to tell you how you can be in intimate union with Him. All of us possess everything we need to have an intimate union with Him. He has been giving me messages since October of 1991. For at least a year I sat in front of the tabernacle and begged him to talk to me. I wanted words. I prayed to the Holy Spirit and begged and begged Him to baptize me. After a long and seemingly endless search, trying to hear God, He told me to “feed the hungry.” For six weeks this was all I heard. I thought maybe I wasn’t feeding my children well or eating well enough myself. What a long wait for three words! At long last one day, as I was writing to Jesus, I received a letter back. He told me, “I am Jesus, Son of the Living God.” I did not want to write this but it kept coming — and so did many other messages. I knew nothing of anyone getting messages. I wrote them, reluctantly, and hid my notebooks. The letters kept coming, many during the night. I would be awakened, then given long letters which I felt compelled to get up and write down. I read these letters privately and my life began to change. I felt a new life within me. He is also telling you in your heart all you need to know. He has all the answers for you there in your heart. You must be silent and go to Him so you can hear His words for you. Sit in front of the tabernacle and be with Him. Do not pray prayers. Sit and be open and just be with Him. Read these letters there. These are Jesus’ love letters to you. Sit in front of the tabernacle and let Him talk to you. Sit silent awhile. Read these letters part of the time. Open any page and He will talk to you. Do not read this like a book, cover to cover. Just open to a page and read that page. That is the way He speaks to you. I, Jesus, truly the Son of God, came to earth a man and suffered a brutal death for love of you. I love you so much! I remain with you this day. I long for your love. I want you to come and be with Me in front of the tabernacle. I wait, I yearn for you to come and whisper your love to Me. I am a person and I love you this day, with such an ardent on-fire love! No human could ever compare a speck to My love for you. I wait, little ones, in the tabernacle. I wait for you to come and receive Me in Communion. I want you to want Me so much you cannot wait to come and receive Me. I want to be the love, the center of your life! I am Jesus. I am the Son of God. I am writing to you this day. I want to possess your very soul and live in you. I have all you need, sweet ones. Oh, you are so blind! I long for your union with Me. I wrote the book of love. I instituted it, yet you go to the world for your love and do not even come to Me! Oh, I love you, little ones. Little ones, beloved of the Father, loved by the Holy Spirit, mothered by My very own mother! What more can I say? The rest is up to you! Surrender this life to Me. Pray My Prayer for Union with Me. I want to possess your soul and operate from your very being. I am Jesus. I am the Son of God. I am the Sacred Heart of Jesus. I am Who am. I died and rose on the third day. Harken to My call, harken to My pleading. Spend your days in love with Me. Nothing matters unless it is rooted in Me and rooted in My love. I am the Son of God. I am the Sacred Heart of Jesus. I love you with the tenderest love. I am waiting this day for just you, My beloved one. Come to Me for I am the tenderest of all hearts. I am the Sacred Heart of Jesus. Cleanse me, strengthen me, heal me. Dear Holy Spirit act in the heart of Mary to make me more and more like Jesus. Father, I offer this my sacrifice, myself united to Jesus in the Holy Spirit to You. Help me to love God more deeply in this act of my greatest love. R. Mary is appearing as Our Lady of Grace. Mary is full of grace. Such abundant grace is released in the Mass. We must, in all of our actions, unite with the Holy Sacrifice of the Mass being offered all over the world. The Father looks to the earth. The Father sees such division amongst His children. The Father’s Plan is that we are all loving each other as one happy family. Each person has been given unique talents to help in the Father’s Plan. God carries out the work of redemption through our humanity. He enlists our help. If all were living in harmony with one another, living according to the Father’s Plan, there would not be this division and hatred on the earth. The Father sees us, His creatures and He wants us to love one another. When we consecrate our hearts to Jesus and Mary we are joined in one mind and heart as a happy family. R. Mary said at Fatima, “until a sufficient number of people are consecrating their hearts to the Immaculate Heart and the Sacred Heart we will not have peace in the world.” As we in the Shepherds of Christ Movement consecrate our hearts daily to the Sacred Heart and the Immaculate Heart, we shine as God’s lights in the dark world. This movement is spreading like fire around the world because it is Jesus’ instrument to help in the renewal of the Church and the world. The brightest fire cannot compare even minutely to the light that comes forth from the Sacred Heart of Jesus. We are filled with Jesus’ light when we dwell in His Heart. ‘I have come to bring fire to the earth, and how I wish it were blazing already! There is a baptism I must still receive, and what constraint I am under until it is completed! We have been called, we have been chosen as Apostles of His Sacred Heart. Jesus is filling us with the fire of His love. We are uniting in one mind and one heart with all Shepherds of Christ Chapters in the world. We pray for grace every day. We pray for each other, every day. We pray for the priests, the Church and the world, every day. I have received two messages from Mary this year. I have received messages continually from Jesus and personal messages from Mary. 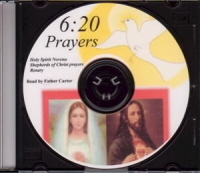 R. We have rosary meditations for children, given from Jesus and Mary without messages. Mary is begging us to circulate these messages and consecration prayers to the children. 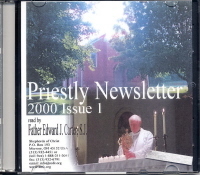 The rosary meditations are being sent to you. The consecration cards are very simple consecrations for children. Jesus: I do not call you to run from the darkness, but to go into the darkness and shine. Put your light on a lamp stand that it will shine to all in the house. Do not put your light under a bushel basket. You are My lights I am sending out into the darkness. As you proceed ahead with My love in your heart you will be the light that lights up the darkness. Go in where angels fear to tread. Take your hearts, filled with the fire of God’s love. Do not run from your foes - shower them with love. I am Jesus. I walked among the beggar and the oppressed. All men are God’s children. You are the children of light. You will shine in the darkness, but you must go in, in order to be seen. As the sun lights up the sky, the world will be lighted by hearts filled with My love. R. See the vastness of this universe. See the sky around us. See the light of day and the sun as it shines in the sky. See the darkness of the night and know that there is a power that puts this earth into this order – that lights the sky by day and it is there in the darkness of the night. Let us feel this around us, such comfort that we know that God is truly with us. Jesus truly present in this room in the tabernacle, the same as the day He walked the earth, the same as the day that He knelt in the garden and He remains with us, truly present with us because He loves us so much. Let us quiet our hearts and feel the presence of God, truly present with us in this room. The Father, Son and Holy Spirit live in our graced baptized soul in a special way. 1. R. Why do we fear? Why do we fear when we see the power of the Almighty God? We see the brightness of the sun that blinds us, we know that God is with us. We know God controls our breath and our heartbeat, but we do not see. Our faith can grow weak. We see the sun come up and the sun go down and the darkness of the night. We see the snow as it covers the trees and we wonder from whence it comes. We know that the hand of God is in our lives. We can see this but our faith can be so weak. We know that, at any moment, that we could die, we do not control our breath and our heartbeat. Let us trust in God and be deeply united to Him. Let us meditate on these mysteries of the rosary and in meditating on His Passion realize His immense love, that the Almighty God, with all His power and might came into this world and took on a human body for love of us. Jesus truly gave Himself and died on the cross that we could be saved. Let us meditate on His act of self-giving love and ask Him to help us to give ourselves in love to Him. 2. R. In His Divine knowing, God knew all things, at all time. He said to Peter that he would deny Him three times. He knew Judas would betray Him. We cannot comprehend the Divine mind. In the Garden Jesus knelt there and He knew all the sins of all men from all time in vivid detail every offense against God. He knew our deepest, bitter anger and the hatred in the hearts of men the division they gave into opposing God’s will. Jesus knew in deepest detail every sin of every man. 3. R. Jesus also saw before Him vividly all of the suffering that He would undergo to His death on the cross. All of the bloodshed, all of the offenses, the beatings, the whippings, and Jesus complied to the will of the Father and gave Himself to pay for the price of our sins. 4. R. We wish sometimes to have someone love us very deeply and we feel all alone. Jesus experienced every human emotion in the Garden and He said to the Apostles to come and to be with Him and they slept. Jesus said to them, ‘Can you not wait one hour with Me?’ They slept. Jesus: Can you not wait one hour with Me? I love you so dearly, all through the day I am waiting as the ardent lover by your side, waiting for you to talk to Me. I am always with you, My beloved ones, at every moment. I am with you and I am waiting for you to talk to Me, to tell Me of your love. I am Jesus Christ, the Son of God and I am calling out to you this evening to open your heart and to listen to My words spoken. I want a love affair with you, My beloved ones. I want to be so close to you. I want to be one with you, to share My life with you, to share My love with you, to share all of your thoughts, all of the desires of your heart. I am Jesus, I am the Almighty God. I know far better than you your every thought and every desire in your heart. I created the stars in the sky and the sun and the moon, for I am the Almighty God and you run from Me when I gave Myself for you. 7. R. Why do we fear? Why are we afraid? Why do we lack faith? Why do we not believe that the very hairs of our head are numbered and God is truly with us? I heard Him call out, “I am alive, I am alive, I am alive.” Why do we not hear this? When we see the snow-covered trees and we see the frost on the grass and we stay so focused in our little world and do not see the vastness and the sun in the sky and the moon and the stars in the sky at night! God is truly present and in this room and He lives in our hearts and we fear and feel so alone! 8. Jesus: My dear beloved ones, I am with you in your every thought and your every heartbeat. I want you to come to Mein the quietness of your room, in the quietness of your heart, and to tell Me of your love. I am there watching and guarding you always. You are never alone. In your darkest sin I am with you and I am waiting for you to tell Me you are sorry and tell Me of your love. I do not leave you. 9. R. Jesus saw before Him in the garden all the sins of all men from all time and He knew each deed in vivid detail. Jesus’ anguish was so great that He sweat blood but as He suffered so for the sins of men, He was comforted by the sweetness of our love that we give to Him today and He calls out to us and tells us to tell Him how much we love Him. The Almighty God wants a love affair with us. R. See Jesus bound and tied at the pillar. You see a man with brown hair tied and beaten, covered with blood, looking so weak as the angry men whipped Him harder and harder to their own exhaustion. Jesus, bound in a human body, but He is the Almighty God. How could any man bind the Almighty God? Jesus obeyed the will of the Father. The Almighty God comes to this earth and gives Himself for love of His creatures. Jesus could have, at any moment, stopped all this treatment for Jesus is the Almighty God. 1. R. God loves us so much that He gives us our freedom. We can chose to love Him or to reject Him. It is totally up to us. Because of His great love for us, He gives us a free will. We can decide if we will do the will of God. He is calling us in a special way to join in such oneness with His Heart and He wants a love affair with us. He wants tender moments during the day when we say in the quietness of our heart, Jesus, I love You so much. Jesus wants us to open up our eyes and to see the sky, to see the light by day and the dark by night, and to know that it is His love that surrounds us at every moment. Even though we do not see God, we know that He is there. 2. R. You must pray for grace to see with the eyes of God, to not be so focused on the little details that we miss the big picture that God is truly present and we should not fear for if we stay rooted in Him, if we stay one in Him, He lives in us and we are never alone. 3. Jesus: These are the words that I speak to you, My beloved ones, but you do not hear. You do not see through God’s eyes. You remain blind. I am the Almighty God. I say to the grass grow and the sun, shine, and the grass grows and the sun shines and I say to you, give Me your love but you turn away. I am God. I am your Creator. I call you to love God first and to love one another. I say to the grass grow and it grows. I say to the sun, shine and it shines and I tell a man to love and he hates many times. How I suffered for the sins of hatred in the hearts of men. You are created to know, love and serve God and to love each other. This is My command to you. 4. R. And God looks down from the heavens above and He sees man in all his wickedness. The Father wants us to love one another. The Father wants us to live as children of God in harmony. He commands us to love. God has called us to be the lights that will shine in the darkened world. Let us open our hearts that God may fill our hearts with His light. 5. Jesus: I tell you, My beloved ones to place your lamp on a lamp stand that it will shine to all in the house. I am the Almighty God. I am filling your hearts with My burning love and My light will shine from your faces to this darkened world. You have been called and you have been chosen. I am guarding your every step. You are My soldiers of love. As I stood, whipped at the pillar, I thought of you and the love in your hearts and it comforted Me during the bitter whippings that I received. I am Jesus. I love you with the deepest, burning love. 6. R. To shine in the darkness we must go into the darkness. We cannot cover our light with a bushel basket. We must go into the darkness and let our lights shine. Jesus: When they persecute you and hate you, I beckon you, My dear ones, to love. 7. Jesus: Come to Me and I will fill you with My love and you will go out to spread this love. You cannot be self-focused, you must focus on giving love to others. You must take the risk and know that I am truly present, that you truly are My lights that will shine in the darkness, that you will comfort those who are weary and care for those that are hurting. You are My chosen ones. 8. R. And Jesus stood at the pillar and they whipped Him with instruments that tore His flesh and made Him bleed. This is the blood that He shed that we could be saved. Jesus is the Savior of the world. 9. Jesus: I am giving to you great graces to go out into the world and to be My apostles of love. Come to Me. I love you with the deepest burning love. See Me, My sweet ones, covered with blood and wounds – this is the love I have for you. R. See Jesus crowned with thorns. See the thorns that go deeply into His precious head and the blood in His hair. Let us go to Jesus and kiss His wounded head and tell Him we love Him! 1. R. As He suffered so for the sins of men, He was comforted by our acts of love. Let us look into the eyes of Jesus as He sat on the mock throne. Let us look into His eyes as He suffered from the men that spit on Him. Let us look into His eyes and say, Jesus, I love You! 2. R. Let us stroke His hair, covered with blood, and tell Him that we are sorry for our sins and the sins of this world and we want to comfort Him in His bitter anguish. 3. R. Let us look closely at Jesus. Let us see how He sits there is such surrender. Jesus does not fight back, He does not argue and defend Himself. Jesus sits and surrenders and He is the Almighty God. He could have stopped the men at any second. He could have stopped them dead. Jesus could have caused fire to come down from the sky and to knock them to the ground, but He came to pay the price for our sins and He came to show us that His way is love and He is telling us this day that we will win the battle against evil in this world. We do not need to take up the sword and that the might of the Almighty God is more powerful than any weapons. He is the Almighty God that created the heavens and the earth, that keeps it in motion, that lives within our hearts, and is truly present, no less present than the day that He sat in the chair and was crowned with thorns and spit upon and He is in this room because He loves us. His words to us are simple: He wants a love affair with us. He wants us to go into this world and to spread His love in our actions, in our faces and in our eyes. Who will He send if we say “no”? 4. Jesus: You do not know the seeds that you plant, My sweet ones, through your actions. I live in this world today through you. My way is love, always love. I am love. Do not quarrel, do not argue. Look at the person and love them. See the hurt in their eyes and know that I am the Almighty God and I am loving you. You must look out at the others. Look into their hearts. See their fear and give them My comfort and My love and I will live in this cold world through you. 5. R. They spit on Him and He took it all. He came to show us His way and His way is love, but when He was crucified in the darkness His light shone brightest against the darkened sky. This is how it is with our acts. We may be spit on and persecuted but the love of God lives in the hearts of those that we comfort and treat kindly. Coldness in our hearts make our hearts cold. 6. R. And His light was the brightest light and He sat, covered with thorns and blood. If we looked into His eyes we would see Jesus Christ, the light of the world. Jesus’ light is brighter than the sun, brighter than any star, beyond anylight that we have ever seen. His light is the brightest light. R. The Father looks to the earth and He sees us, His children, and He wants us to love each other. Jesus wants us to live in harmony – each one of us uniquely created. Only we can love this world the way that we can love the world. God is calling us to be as He wants us to be – this unique individual. No other person can do for this world what we can do. The Almighty God created us so special and so unique. 1. R. Jesus walked with a cross on His back. He could hardly move and He fell to the ground. How is your cross this day? Is the cross just living each moment, trying to love? This is what He calls us to: Jesus calls us to live according to the Father’s will and to love. It is a cross many times. God looks to see if we are loving and doing God’s will. This can be a cross. The cross is to love when others are cruel. The cross is to be calm and to know that God is there in every action that we perform, no matter how frustrating or how difficult it may seem. That this is a heroic action in God’s eyes, that we perform all of our actions in love, that this is holiness, that this is what will make us saints – to take the every day, ordinary actions and to perform them in love! Even when we have fallen to the ground and everything seems to be upside down, to go to God in our weakness and He will be our strength – this is the cross. These are our wounds that we carry on our back. 2. R. But Jesus, do You want me to fast? Do You want me to give up this treat? Jesus, do You want me to work and work and work? Jesus says: I want you to love and do what the Father asks of you. I call you to love God above all things and to love each other. Love, love, love. 3. R. What is the job that God wants us to accomplish? 4. R. When we are backed up against a wall, we must surrender and give it to Jesus and do everything we do with love. 5. R. Jesus carried the heavy cross and He fell to the ground three times. He could hardly get up but He got up and He moved on. 6. Jesus: Are you spit on? Are you persecuted, My beloved ones? You are My hearts, My gentle loving hearts. I was spit on and I was persecuted but My Heart was on fire, filled with love. Do not let your hearts be cold. 8. R. Mary’s heart was invisibly pierced as she looked into the eyes of her beloved Son and she saw Him covered with blood and wounded. She looked into His eyes and she saw His love for us and she calls out to us to look at her Son to see His love and to love Him. Jesus: Look into My eyes and see My love for you. I am calling out to you to go into this world that is suffering and to give My love to your brothers. They are your brothers. You are all children of God. You are My lights that will light up the darkened world but you must say yes. I am Jesus, I love you with the deepest love. R. Look at the face of Jesus covered with blood and see the love that He has for us. R. Have you ever been caught in the embrace of the Almighty God, the Father, Son and the Holy Spirit? Do you know what it is to be wrapped in an embrace of God’s Divine love? This is what our hearts yearn for. We were created for God, for His purpose for us and nothing on the face of this earth will satisfy our starved soul but God. To be caught in this embrace, to know the presence of the Father, Son and Holy Spirit, is only to want more until we are satisfied in Heaven. God lifts the veil and gives us little glimpses of Himself and we fall to the ground in awe, for God truly is mightier than any sun, the sun that blinds us. God is the Creator of the sky, of the heavens and the earth and He wants a love affair with us. 1. R. Pray to be wrapped in God’s love. Let us see with the vision of God and pray for grace that we receive this vision, that we will see the big picture of the overall world, that we will see how truly dependent we are on God for our every breath, that we will fall to our knees and thank God for the gifts that He has given to us and tell Him we love Him. 2. R. And Jesus was raised high on a cross on Calvary and they pounded into His hands gigantic nails that went all the way through His hands and His feet and He hung to His death for three agonizing hours on a cross. Grace can be released on this world. Jesus paid a precious price for our sins. 3. R. We are human creatures and through Baptism God gives us a special sharing in His life. We can be filled with His life and His light. The price He paid was His blood. God: Father, Son and Holy Spirit live in the graced baptized soul. 4. Jesus: I come to you, My beloved ones. I want to come to you. I want you to love Me. 5. Jesus: Tell Me how you love Me. I outpour My grace to you when you ask Me. I fill your graced baptized soul more and more with My life in you! 6. R. Jesus gave Himself. Jesus gave His body and His blood for us and Jesus gives Himself to us today in the Holy Eucharist. Let us share in this love affair with God. We will share in this love affair depending on how we give ourselves to God. God wants to be more and more united to us. 7. R. Love is interaction between persons. Jesus gives Himself. In order to experience this deep love affair with Him we must give ourselves more and more to Him. 8. Jesus: I have come to you in a special way in this rosary. I have poured out My love to you, My dear ones. I am waitingfor your love. I want to share a special love affair with you. I am Jesus Christ, the Almighty God. I am calling you and I am giving you great graces to join deeper and deeper in this love relationship with Me. But you must surrender and come to Me. Look, My dear ones at the crucifix. This is the love that I give to you. 9. Jesus: Let your hearts be quieted. Let your hearts be filled with love. Do not fear. Pray for grace that you will not sin. There is no fear when you know I am with you. Jesus: I give to you My peace. I give to you My love and I give to you My joy. I give you Myself. I am Jesus Christ, the Almighty God and I am with you at every moment. I am with you. You are My lights that will go into the darkness and I will live in you and shine to those that are troubled and in pain. I love through your arms. I kiss your heart. I am truly present and in this room in the Blessed Sacrament. I am giving you My kiss of love. I am a person and I am waiting for you. R. A word from Fr. Carter on the Mass lived out. From the Response in Christ by Fr. Edward J. Carter, S.J. As the Christian lives out the Mass, he is consequently daily laboring with Christ in furthering the work of the subjective redemption. This is so because Christ’s sacrifice was a redemptive act, and the Church’s reliving of this act in the Mass is also redemptive. In this regard we must remember that the entire universe – not merely man – has been redeemed. The nonrational and rational world alike await the furthering of the redemption. St. Paul tells us: “From the beginning till now the entire creation, as we know, has been groaning in one great act of giving birth; and not only creation, but all of us who possess the first-fruits of the Spirit, we too groan inwardly as we wait for our bodies to be set free.” (Rm 8:22-23). How does the Christian help Christ redeem the world? (Henceforth the term “world” is to be understood as including both rational and nonrational creation.) As previously stated, the Christian helps Christ redeem the world by reliving Christ’s mysteries. The same “events” or mysteries which accomplished the objective redemption further the subjective redemption also. Since at the heart of Christ’s mysteries are His death and Resurrection, it is especially these that the Christian must relive. As the Christian dies mystically with Christ through loving conformity with the Father’s will, he rises with Christ to an ever greater share in the Resurrection, in the newness of life, in the life of grace. As the Christian in this manner relives the paschal mystery of Christ, he is accomplishing not only his own redemption, but he is also, in a mysterious yet real manner, helping Christ redeem the world. Although Christ’s life was summed up in death/resurrection, it also included various other “events” or mysteries. Each of these in its own manner contributed to the redemption. So it is with the Christian’s life. His participation in Christ’s death-resurrection must be “broken down” into the other mysteries of Christ’s life. The Christian must always remember that he carries away from the Mass not only the Christ of the death and the Resurrection, but also, for example, the Christ of the hidden life and the Christ of the public life. As the Christian lives out his Mass in the exercise of his Christ-life, all these various mysteries should therefore be present. Before we give examples of how the Christian can relive these saving events of Christ’s life, it is well that we first distinguish the two different levels on which the Christian assimilates the mystery of Christ. Christ, through His death and Resurrection, has transformed us. This transformation is a “new creation,” a new life of grace. Through our baptism we are initiated into this life and consequently we exist as new creatures. As long as we possess the life of sanctifying grace, which is our share in the mystery of Christ, we are living according to this new existence whether or not this life here and now incarnates itself in a concrete, supernatural act. In this sense the life of grace, the “new creation,” is fundamental, radical and transcendent, a share in the transcendent holiness or mystery of God Himself. . . .
Christ did not lead only a hidden life, but a public life also. All vocations within the Church are likewise called upon to reproduce this part of Christ’s life in some manner. One aspect of Christ’s public life that should be common to all Christian vocations is the selflessness, the constant concern and love for others which Christ constantly and vividly displayed. This concern for others cost Christ much in fatigue of body and mind. Nevertheless, He continuously gave Himself completely to others. . . .
St. Paul sums up the redemptive work of Christ under the mysteries of death-resurrection.38 These are the principal mysteries which the Christian must assimilate from the eucharistic liturgy and reproduce in his own life. More and more the Christian spiritual life is being considered as a process of death-resurrection. It is obvious why this is so, for if Christ’s entire life was summed up in His death-resurrection, so also is that of His members . . . .
38. Cf. L. Cerfaux, Christ in the Theology of St. Paul (New York: Herder & Herder, 1959), pp. 190-192. 41. Cf. Second Vatican Council, Constitution on the Church, No. 36. R. I was at All Saints this morning at 7:00 Mass and bells rang at the Consecration. I felt distant from Jesus because I had spent so much time with others. We are His instruments in the world. Jesus wants us to be His instruments of love in the world. Jesus says: Love - always love. R. Dear Jesus, I give You my all. You are always present to me. The Mass is the sacrifice of Calvary sacramentally made present. The Mass is celebrated all over the world. The bell tolls in our lives and I unite my life, all my joys, all my sufferings with the sacrifice of Jesus, sacramentally made present in the Mass. The Father is most pleased. In all of the sin in this world the members, the members of the mystical body of Christ united to the Mass can help bring down great grace for the Church and the world and please the Father with our humble offering. We have demonstrated that one of the constituent elements of sacrifice is its acceptance by God. In the case of Christ’s sacrifice, this acceptance by the Father was accomplished in a most glorious fashion – through Christ’s Resurrection and Ascension. In the union of these last two elements of Christ’s sacrifice, His immolation in death and the acceptance of His sacrifice through the Resurrection and Ascension, lies the essence of Christ’s redemptive act – of course, in saying this we presuppose the first element of Christ’s sacrifice, His interior disposition or oblation; this is the essential element. This union of Christ’s death and Resurrection is called His paschal mystery, His passover. In what did this passover or transition consist? In our initial chapter we briefly described this passover of Christ. We will now expand to some extent upon this basic reality of Christ’s life. Consequently, we have observed, in terms of sacrificial elements, the most intimate union which exists between Christ’s death and Resurrection. They are inseparable, and lie at the heart of the total mystery of Christ. This paschal mystery is central, therefore, to the liturgy and to the whole Christian life. 15. Durrwell, Op. cit., pp. 68-69. This “acceptance” element of Christ’s sacrifice is an extremely important one, a fact being shown through contemporary scriptural, theological and liturgical studies. Two outstanding works which treat of the role of Christ’s Resurrection in God’s redemptive plan are F. X. Durrwell’s The Resurrection and L. Cerfaux’s Christ in the Theology of St. Paul. 16. S. Lyonnet, “La valeur sotériologique de la résurrection du Christ selon saint Paul” in Gregorianum, Vol. 39 (1958), pp. 312-313. Translation taken from Theology Digest, Vol. 8 (1960), p. 92. R. I give my life, every moment for my beloved brothers and for myself. I am giving myself to others, joined to this great act of self-giving, united to Jesus in the Mass. This is my love given to God and others. Every word I speak, every action from me, must be as Jesus would want me to be. Live in this moment - unite to the Masses going on around the world. The bells toll all over the earth. The Mass is celebrated: The priest says in the Mass, “This is My Body, This is My Blood”. I give myself united to Jesus in the Mass to the sacrifice of Calvary sacramentally made present in the Mass. I unite all that I do and am loving God and others in this union with Jesus in the Mass. Jesus said to love more and more as He loved. At every moment the bell tolls reminding us that at that moment My life is to be lived united to the Mass. God carries out the work of redemption through our humanity. Jesus gave Himself: Body and Blood. I give myself in love. I hold nothing back. With His grace I am able to give selflessly. I live with peace and love in my heart. My self-giving is an act of love and I unite to the Mass. I unite to Jesus in the Masses going on around the world in my Morning Offering in every moment I live. The bell tolls. Jesus gave Himself for sinful men out of love for us. God does not want sacrifice and oblation, i.e. fasting all day and then at the end of the day being mean to everyone. God wants all acts performed in love. This is what pleases the Father - acts performed in love. Our whole life is an offering united to Jesus in the Mass. We offer moment by moment every deed we think and do. We offer ourselves given for love of Him and love of all others. We offer ourselves to help souls to get to heaven. God carries out the work of redemption through our humanity. This is the secret of the contemplative in action. He hears the bell tolling every moment of his life and He unites to the Holy Sacrifice of the Mass. Christ lives in us. We operate in Him in the world today through our selfless acts given in love. We model all our acts after Him and His great love. Jesus, the Son of God, gave Himself that men could be saved. Jesus says: “This is My Body. This is My Blood.” He paid the price for our sins. Jesus says, I am the way, the truth and the life. Jesus gave Himself for me. Jesus asks us to give ourselves in love to one another. Jesus no longer walks this earth, Jesus lives in us. I become selfless, I live in Him. This is the constant giving of ourselves. We go out to others. He is love. He gave selflessly. His eyes were always fixed on the hearts of others. He saw their fears and joys. He saw their needs and He gave them love. We must go out to others. Our heart is filled with love. We must beg for grace to be as He is. Jesus is God, Jesus is love. Jesus’ focus is on the other. Jesus is love!!! To love as Jesus intends us to love we must be filled with love. Then, we come from a place of giving love. Our eyes are focused outward, we are seeing the hearts of our beloved brothers and love them. Jesus lives in us. It is in modeling ourselves after Him that we love selflessly. This is sacrifice. This takes grace. This takes deep saturation in His life. I am the teacher of the God who lives in me. Let us be one in Him in this gift of God given to us. We want to unite and be one in Him. As the bell tolls we, at every moment of our lives, unite to the sacrifice of Calvary sacramentally made present. We give ourselves in love. I help souls to know about God. I give selflessly united to the Mass every moment of our lives in love. Our main focus is always love, given for the other. This is the way of Jesus. He is love. To love as He loves, I give. God is love. He says, “I AM, WHO AM”. As I unite to Him, I unite to He Who Is. His way is always going out of Himself in love. Jesus knows how He gave His all. We must be always going out in love, self-giving of ourselves as He gave on the cross. Jesus says “I AM WHO AM”. God is perfect. I am love. Jesus says: “I AM WHO AM”, I dwell in the graced baptized soul. R. He was battered, bruised, crowned with thorns, crucified and He loved. We unite to the Mass, we pray for all souls. Jesus’ light shines through us when we love the beggar, every one. God carries out the work of redemption through our humanity. I am Jesus, your beloved Savior. I am encouraging families to begin Shepherds of Christ Chapters in their homes. Some of My beloved ones would prefer to join a prayer chapter as a family. In addition to the formal prayer chapters, members can begin prayer chapters in their homes. I encourage the family to spend some time during the week praying the Shepherds of Christ prayers as a family. I am giving abundant graces to all who participate as a family praying for the renewal of the Church and the world. Families should pray the prayers following the handbook as is recommended at a formal meeting. There is great prayer power when a family prays the consecration prayers together. The consecration prayers, prayed as a family or as a group, binds the group in a very special way. The family or group joins in close union to the Hearts of Jesus and Mary. The prayers of consecration are so powerful that I recommend that they are prayed daily with the rosary in every family. There are many forces pressing on the family. Your family will be able to fight off these evil forces when you unite in the consecration and pray the rosary together. Do not underestimate the power of these special prayers in the Shepherds of Christ handbook. They should be prayed daily by all members of the Shepherds of Christ, if at all possible. I am calling all members of the Shepherds of Christ Movement to unite in one mind and one heart. The prayers of consecration bind all members in this special way. I encourage the youth to begin Junior Shepherds of Christ prayer chapters and pray the rosary with the simple meditations. Children should realize that I am calling them to this special apostleship to spread My love to the world. The children whose hearts are consecrated to Jesus and Mary will be protected against evil forces in the world. I am Jesus. I have called My beloved youth to My Sacred Heart. I love you, My sweet children. I am Jesus. I give you great graces when you pray in the Junior Shepherds of Christ Chapters. I am protecting you in a special way when you consecrate your heart to Me. R. What follows was recorded on a napkin. It was April 3, 1996: Jesus does not want sacrifice followed by our being mean to everyone at the end of the day. He wants all acts performed in love. This is what pleases the Father, acts performed in love. Our whole lives are a sacrifice united to Jesus’ Sacrifice of Calvary sacramentally made present in the Mass for the redemption of all mankind. This is our offering. We give our all. We give ourselves completely. Every moment the bell tolls as we help in the act of redemption by offering our lives as a sacrifice united to the Holy Sacrifice of the Mass being celebrated around the world. We do this by saying and living our Morning Offering. R. We unite in the Holy Sacrifice of the Mass to help in the work of redemption of souls. This is the secret of the contemplative in action. He hears the bell toll and realizes at every moment of his life that he is united to the Holy Sacrifice of the Mass and helping in the act of redemption in his very living. He gives himself as a sacrifice, living according to God’s will. The contemplative in action unites in the Holy Sacrifice of the Mass wherever it is being offered around the world and becomes one in that offering. The Father looks down and sees the Sacrifice of His Son. This is the most pleasing offering we can make to the Father, the offering of His Son. This is for the redemption of souls. Christ lives in us in the world today. We give ourselves selflessly in love. We model our lives after the great gift of love – Jesus giving Himself as a Sacrifice for us that we might be saved. Heaven unites with earth in the Holy Sacrifice of the Mass as the Mass is celebrated around the world. Our lives are joined in celebration of Christ’s redemptive act for the salvation of mankind. Jesus: This is My Body – given for you. This is My Blood; I paid the price for your sins. I am the Way, the Truth and the Life. I give Myself for you, I ask you to give yourselves for your brothers. R. Jesus no longer walks this earth. He lives in us. 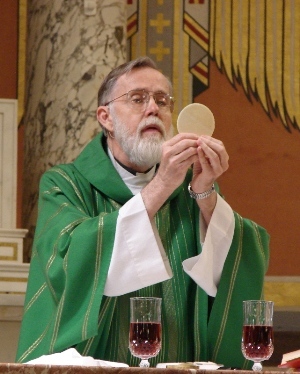 He is here in the Eucharist. I offer myself selflessly to Him. I live in Him. R. Let us put ourselves in the presence of Almighty God. Let us know that God is truly present in the Eucharist and with us, the same Jesus that died on the cross. We meditate on the crucifixion and we think of Jesus and how He died and think of it as so far away, but Jesus, although He no longer walks this earth, is in this room with us at this moment. This same Jesus that, with such love, mounted the cross and gave Himself for love of us, is in this room. The same Jesus that hung for three agonizing hours as the blood poured from His hands and His feet, from His precious wounds, the same Jesus, is right here, if we see the man before us that hung to such a brutal death and gave Himself for us, how our hearts would well up inside with this act of love. Let us address Jesus who is truly present here with this love in our hearts and with our whole heart pray the rosary and unite to Jesus in the Mass. 1. R. Precious, sweet, loving Jesus, we look at You and we see Your beautiful face in the picture before us. You show us Your Heart, crowned with thorns. You are a Person. You are not far off. You are right here and You are calling out to us to realize this because it is in realizing how close you truly are and that You live within us that we will have this close union with You. You are closer to us than any human person. You live within us in a special way when we are baptized and in the state of grace. You are the person that our heart craves. Give us the grace to realize how really close You are to us. Give us the grace to love You. 2. R. Give us the grace in this rosary to know things about You that we would not know if You did not give us this grace, special insights into the mysteries of Your life. Just outpour Your grace. We ask this, Father, in union with the Holy Sacrifice of the Mass and the Holy Spirit, to touch us in a very special way in this rosary, to touch our hearts that we will be ever closer to our Almighty, beautiful, wonderful God. 3. R. The sun shines in the sky and we see the magnificent light from the sun and we feel its warmth but the warmth from the Heart of Jesus and the light far exceeds that of any sunlight. The light of Jesus truly present in the tabernacle in this world would blind us far more than any sunshine. Help us to realize Your greatness, O Lord, and the great gifts that You give to us – that You give us Yourself. 4. R. We know some things about God because He gives us His grace and the more we know sometimes we wonder how blind men are. We must pray for the souls of men and not ever think we are better than them. God has given us a great grace to love Him. We do not understand when we see others sometimes. It is all because He has given us this grace. Pray for this grace for all of us to live by the Father’s Plan. Think of how Jesus was in the garden and He, in His Divine knowing, knew all things - God knew everything with the vision of God – knowing every event that would happen – knowing every detail in the heart of every man and their sins from all time – knowing all those, in their ignorance and pride, that would boast and Jesus in His Divine Wisdom knew all of these things! Think of how it would be to have the vision of God and to see the people before you so ignorant and so prideful. How Jesus must have suffered for this alone, to be the Almighty God and in His Divine Wisdom to know all things and to see the arrogance of these men. 5. R. Many times Jesus, I hurt inside because I know my sins and the sins of all men and You give me the grace to understand how God is offended by our sins. In this rosary let us help make reparation for our sins and the sins of all men, for we are truly sorry for offending God by our sins this day. We are all God’s creatures. We are all members of the human family and look at how we are offending God. We are so sorry and we ask You, in this rosary, dear Father, that united to the Holy Sacrifice of the Mass, we ask You to outpour Your grace and Your mercies on this sinful world. 6. R. Jesus loved us so much that He gave Himself. He saw before Him in the garden an angel that came to comfort Him and the agony was so great in His Heart from what He knew that He sweat blood. This is His Blood that we receive this day in the Holy Eucharist, the same blood that Jesus sweat in the garden. 7. R. Dear Jesus You gave Your precious blood for love of us. You gave the last drop of Your blood and the last beat of Your Heart for love of me – give me the grace to love You with my whole heart, my whole soul and my whole being. 9. R. See Jesus in the garden, buckled over in pain. Feel the agony in His Heart, the deep, deep agony, to know all the sins of all men and look into His eyes and comfort Him in this agony with your immense love of Him and say to Jesus: Jesus, I love You. I am so sorry for my sins and the sins of all mankind. Let me give You comfort, Jesus, as I see Your sweat fall to the ground, as I see the blood roll down Your forehead. Vividly see this as if you did see it on Jesus’ forehead. Would you not look at Jesus with the greatest love and say to Him: Oh, my Jesus, You did this for me and I love You so much! Would you, if you saw this before your eyes, would you not look at Jesus and comfort Him in His agony? 1. R. Life flows from the Father in the Holy Spirit through the pierced Heart of Jesus, through the heart of Mary, to us. Do we feel this life that is flowing to us at this moment as we pray? Do we feel the grace that He is giving to us in this room? Let us feel this life penetrate our soul? Let us feel the grace within us, for He loves us, that He gave Himself and He gives Himself to us today and gives us a sharing in His life. 2. R. Sweet, tender Jesus, I see You there, bound at the pillar. I see You tied. You look so helpless but within that body is the Heart of Jesus, the Heart of endless love. You look like a man tied to the pillar but You are God-made-Man. You are the Almighty God, knowing all things, all powerful, Almighty and You allow the men to come up with their sharp instruments and rip Your flesh because of Your love of me! 3. R. I hear the cracking of the whip that they beat You with and I see the stripes on You and I know within that body is the magnificent Heart of endless love. Divine love, and You did this for me. Give me the grace to love You, You who are all deserving of all my love. It is only when You give me the grace that I can love You with greatest love. I beg You for this grace. I love You so much, Jesus, whipped for my sins at the pillar. 7. R. My beloved Jesus, I want to love You. Help me in this rosary to love You more and more. Make this a special day in my life that I will unite ever closer to You, that I will identify all of my actions with You, that You will live through me as I love in this world. 8. R. We cannot even fathom the love of the Almighty God. We do not comprehend His might. He is God. We cannot even comprehend a little bit the immensity of His love. 9. Jesus: I come to you with greatest love. I am your God. I died for you. I come to you this day. Open wide your heart, My beloved ones. I am knocking on the door of your heart and it is you that keeps Me from closer union with you. Open your heart. You hold onto so many things that keep us apart. You do not even know how attached you are to so many things. You must pray to die to yourself that I may live in you. The more the seed dies, there is new life. In you I will live more abundantly in you, if you die to yourselves. Jesus: My beloved ones, die to yourself, the more you die to yourselves, the more I will live in you. 10. R. And He took them out to the town of Bethany and He raised His arms and He ascended into heaven and He left us behind to carry out His work here. It is in dying to ourselves that He will live in us more and more in this world today, for He no longer walks this earth. Jesus is dwelling in us. Let us pray for the grace that we may die to ourselves that He will live in us and that His grace will flow through us and that many hearts will be touched by Him operating in us, as He dwells in our graced baptized soul. R. Why such a brutal death? Why such a Passion? Why did God come and go through such anguish for us? He came to show us the way and His way is selfless love. God gave Himself, God suffered all of the torture that we would have this sharing in His life. He was beaten, He was bloody, He was crowned with piercing thorns. He spread His arms and surrendered His all to His death. He was buried but He rose on the third day that we would have this sharing in His life and go to heaven and have the fullness of life some day. 1. R. He sat and was crowned with thorns, covered with blood and with wounds and they spit on Him. They mocked Him. Let us put ourselves in the place of Jesus. Let us sit and be surrounded by men. Let us sit there with our head crowned with thorns and feel the blood as it rolls down our face and into our eyes and into our ears. Let us hear with our ears what the men said to Him – calling Him a liar, all the ugly things that they called Him and let us realize that the Almighty God, in His Divine knowing, knew all things, but suffered this torture willingly because of His love for us. Let us sit there as Jesus sat and feel our own blood roll down our face and feel the burning wounds all over our body, matted and stuck to His dirty, purple robe. We know what it is like when someone says a few harsh words to us and we take them and do not say anything back. How hard that is, to have someone insult you and say nothing back to them, but Jesus sat there and He took this while many men persecuted Him. Why? He showed us the way, His way is love, always love, but in His actions, in His sitting in silence, He knew the love of God. He was God, the Almighty God and He withstood this. It is in being one in Him that we too will be able to suffer the persecution, the wounding by others, the harsh words and in that when we act as Jesus acts, His light will shine to this world through us. When someone persecutes us and we tolerate this and still respond lovingly we make more of an impression on that person than if we shouted back and tried to make our point. His light, always shining. Through His blood-covered face and His crowned head when He hung from the cross, with a withered body, beaten and torn, His light shone against the darkened sky because the light of God cannot be hidden. He wants to be one in us. He wants to unite in such a way that our hearts love with His love, but we must die to ourselves that He will live in us. 2. R. What are we holding onto that is keeping us from deeper union with Him? Do we not realize that His way is love, that He taught so much through His example, that we see the world today. Let us pray for the grace that we will always love. Let us pray for the grace that we will be so one in Him that His light will shine through us in this darkened world. He is calling us to consecration to His Heart and the heart of His Mother. When we consecrate our hearts to Jesus and Mary, when we live in Their Hearts, we will be the lights that shine in the darkened world. 3. R. Jesus and Mary: I see this darkened world and I am but one person. I beg You to help me to be a little light that shines in this world. How bright one little light is against the darkened night. How bright it will shine with His power when we are united in deepest union to His Heart and Mary’s heart. 4. R. And they spit on Him and they whipped Him and they pounded into His precious head sharp thorns that hurt so bad, hurt so bad, and how do we act when we hear a few harsh words against us? But He was silent. He came to show us His way - His way is love - His way is always love. 5. R. And His body, silhouetted against the dark sky, was the brightest light that shone in this world. 6. R. Jesus tells us to love as He loved us. Jesus loved us so much that He sat and was spit on. Jesus’ head was crowned with thorns, His flesh was torn and He asks us to love as He loved us. It is in uniting all of our actions with Jesus that we will love as He wants us to love. It is in seeing that in our actions that we are helping souls to get to heaven by our acts of love. This is indeed a heroic deed, that everything that we do can help others to get to heaven when Christ is living within us. 7. R. We are the teachers of the God who lives within. Let our hearts be filled with His love and His light. 8. Jesus: They pulled My beard and they pounded on My head. They tore My flesh and they made Me bleed. I sat and I suffered all of this for you. I ask you this day to be a light in the darkness, to always love. I want to live in you and to minister to this hurting world through you. When they persecute you and laugh at you, come to My Heart. It is there you will find refuge from the cold world. I am Jesus and I am so close to you, as close as your breath. My sweet ones, you do not comprehend – you must pray for vision to see beyond what you see with your eyes, to know with your hearts that I am forever present and with you, that you are never alone. You look with your eyes, you want to see but far greater than what you see with your eyes is to know I dwell in your graced, baptized soul. 9. R. And they walked around Jesus - these angry men. Their hearts filled with such hatred, their hearts so cold and hard – they walked around Jesus and poked at Him and pushed Him and they hated - they hated and they hated and He loved and loved. How His heart suffered for the treatment of those He loved so much! 10. Jesus: My greatest agonies were not the agonies that I suffered to My body but the agonies to My Heart for the rejection and for the hatred of those men I loved so much. I am Jesus and I look at you this day and I see your fervor and your love. I beg you to come closer to Me for it is your love that comforted Me during My bitter Passion. Look into My eyes and tell Me you love Me. I love you, My sweet ones. 1. R. How many times we teach by our actions. It is not only in our words but it is how we live and how we act that we are the teachers of the God that lives within us. Help us to be so one with You, Most precious God, that Your light shines in our eyes and in our every action. It is one thing to talk about holiness but it is another to die to ourselves and to let You truly be one in us, according to the Father’s Plan, trying always - always to do His will, in love. I see Jesus shuffle with the cross on His back, humped over in such sufferings and as He falls to the ground and His face hits the earth the cross falls down on His back. They come up to Him and they poke at Him and they kick Him and try to force Him to give up but Jesus, though in such exhaustion He can hardly move, got up and He continued. Give us the grace to continue always, knowing that the little acts that we perform not always in our speech, but in our actions, are mighty lessons in this world today, that we shall always see ourselves as a teacher, always a reflection of His light, always conducting ourselves the way that He wants us to conduct ourselves and pray for the grace to be so united with Him that we will act as He acts through us. 2. R. How far we have to go to be like Jesus - but it takes sacrifice! I beg Jesus for the grace. I beg for the grace but it is sacrifice – it is sacrifice and it is giving our will to God in love, we have a free will. Sometimes it is so hard to respond in love, so hard when someone is cruel, when we really don’t like the way they treat us, when we feel that we have been wronged, but we know that telling them something kind is the way Jesus would want us to act. This is sacrifice! He shows us the way that He lived, He gave Himself as a sacrifice. It’s easy to love when we are filled with grace and someone is nice to us, but it is an act of the will to love when others are not so nice to us. They pounded the thorns into His head and they spat on Him, they tore His flesh and they made Him bleed and He loved those men with the tenderest burning love. He comes and He shows us His way – His way is love, He no longer walks this earth but He lives in us. We are to be like Christ, who dwells in us, be a witness to Him. How are we showing the world in our actions who Christ is? Wear the crucifix, and tell others of our churches. How are our actions? 3. R. And He fell to the ground and His face hit the earth, the crown of thorns pressing deeply into His skull, the pain in His head and His whole body - and He continued. When they poked at Him and forced Him to get up, He went on - His way is love. Let us unite to Jesus in the Holy Sacrifice of the Mass. Let us see Jesus as He hung on the cross and realize this is love. Love is self-giving. He is calling us to love, to die to ourselves that He can live in this world in us this day. When we fall to the ground and the cross bears deeply on our acks and we want to give up because we feel all alone in this world, where so many have forgotten, God, we look into the eyes of Jesus and we see the weakened body, the face covered with blood. We see Him humped over with wounds all over Him and we look into His eyes and we say to Him, Love is sacrifice. Give us the grace to love as You want us to love in this world today, for we are helping in the work of salvation. The light that shines through may be the seed planted in the hard heart. The love that He wants to give to that person that is so cold in their heart, but if I say no to those people, if I say no to those who really need His love, because that is the hardest one to love, He cannot touch those hearts through me. He wants us to die to ourselves that He can live in us. He no longer walks the earth. R. Come Holy Spirit, impart to us the gift of wisdom, the gift of understanding. Give to us a wider vision that we may know more and more the mystery of God, that we may know more and more the mystery of His love, that we carry out the life, death and resurrection of Jesus in our lives. Fill us, O Holy Spirit, with the fire of God’s love. 5. Jesus: This, My dear ones, is the love that I have for you. Look into My eyes as I carried the cross on My back and see My eyes caked with blood. See the bruises on My head. See My face. Look into My face as Veronica saw My face and gave to Me the towel. Look into My face. This is the love that I have for you and look into the face of those who are hardened in their hearts and see My face when you look into their face for as you love others, you love Me. On that day I will say to you: O, beloved of My Father, come into My Kingdom, for when I was hungry you gave Me to eat, when I was thirsty, you gave Me to drink, and when I was naked you clothed Me. You, My beloved one, will be with Me forever in heaven in deepest love. I call you today to carry out My life, death and resurrection in your lives, to love when the road is tough for those with the cold hearts are the ones I want to touch so much. It is only when you love that I can touch them through you. 6. Jesus: Unite to My sacrifice. 7. Jesus: Love is giving. Love is an act of the will. I freely gave because I loved you. I ask you this day to freely give your love and when they persecute you know that I am loving them through you. Come to Me and I will fill you with My love. Sacrifice is very hard sometimes but it is then that many hearts are converted through the hardest sacrifice, through the great act of love. 8. R. And He loved us so that He laid down His life for us. 9. R. O, Mother Mary, this is the 5th. The 5th is in honor of the five wounds of Jesus and the five blasphemies against you. Mother Mary, help us to love your Son, Jesus, with greater love, to love Him through your most tender heart. O, Mother Mary, thank you for the gift of the rosary. 1. R. The greatest act of love – the Son of God gave Himself for love of us. The Mass is the sacrifice of Calvary sacramentally made present. Let us unite all of our actions, all through the day, with the Holy Sacrifice of the Mass going on around the world, for grace and mercy is being outpoured in the Mass. Let us realize the magnitude of this offering when united to the Mass. Let us pray to the Father in the Holy Spirit, in union with the Holy Sacrifice of the Mass and every action that we perform, a sacrifice of giving ourselves as Christ who gave Himself to His death on the cross. We give ourselves, no matter what it is that we are doing, doing God’s will in love. We are helping to bring down great grace – this helps in the work of redemption. We unite with the Holy Sacrifice of the Mass, loving as Christ loved. Jesus tells us to love as He loved us and He laid down His life for us. Jesus asks us moment by moment to love, to always love and we are helping souls. We are loving in our every action. O, Jesus, I see You before me, hanging on the cross, your body so withered and covered with blood, and I see the little deeds that I do all through the day that sometimes seem so useless and so hard, but when I realize that it is the Father’s will that I do them and when they are done in love, that they are mighty sacrifices to help in the work of redemption. How heroic those little deeds seem to be, united with your sacrifice. This is what is important. This is what God wants us to do – to live always - in love. 3. R. Jesus says to love as He loved us. He loved us so much that He gave His life. Moment by moment we join all of our actions as an offering to the Father in union with the Holy Sacrifice of the Mass, in the Holy Spirit, and all of our actions are a sacrifice that we give that souls will be in heaven someday. The person that I am looking at that has the cold heart is the one He wants to touch. I can say no because love is an act of the will or I can perform that hard sacrifice and love when they are mean. Jesus can touch them through me. What the world needs now is love, the burning love of the Heart of Jesus. No fire can compare to the love that comes from His Heart. When our heart is one with the Hearts of Jesus and Mary, the fire of His love will spread across the earth and the sky will be lighted with the fire of God’s love. This is the mighty medicine for the sick world and it begins with one candle that shines in the darkness. Let me see myself as one candle and my life as the life that He wants to shine in the darkened world. 4. Jesus: I have called you here this evening to hear this rosary. It is easy to love those who are loving and it is very difficult to love those who are cruel. I want to reach all hearts. You are the teachers of the God who lives within. It is through your example that many hearts will be touched with My love. Come and dwell in My heart and I will fill you with My burning love. I love you, I love you, I love you. To My death, My dear ones, I died for you. Will you love in this world today when it is hard, when you do not want to love, when you want to walk away, when you want to go and be by yourself and you know that the Father would want you to spend that time in loving another? Will you touch that heart with My love? I have called you as My special soldiers of love. You will light up the darkness with the fire of My love that is burning within you. Do not worry. Do not fret. Be calm. I am guarding your every step. The most important thing that you do this day is to do the Father’s will, in love. Love is giving of self. Love many times is hard. We see the world and we see the green grass and the blue sky and we see so much with our eyes. We see the sin and all the suffering in this world and we know that many souls are going to be damned forever. We need to give our lives to Him, to always love, to unite with the Holy Sacrifice of the Mass and to offer everything we do all day to the Father for we are sinful people. Jesus gave His blood that souls would be saved and we are helping in the work of redemption by our love, given especially when it hurts. 6. R. What a heroic act to help someone to get to heaven! Dear Jesus, come and live in me that I may be as the Father wants me to be in this world and help me to love as You want me to love. I know for all eternity that I can be joined in such celestial bliss in this presence of God. I love You, Jesus. I look at You hanging on the cross and I look at You right before You die and I look at You and say, God, I love You! I want to die to myself that You will live in me. R. And He rose on the third day and came to give us life that we will have it to the full. He no longer walks the earth but He lives in us. 7. Jesus: You are My lights that I am sending into the darkness to shine. Come and dwell in My Heart and I will fill you with My burning love. I am Jesus and I am truly present with you and in this room. I am a Person and I am longing for your love. Minute by minute, second by second, I am with you. I want you to talk to Me and tell Me all the cares in your heart. I want you to rely on Me always, My sweet ones. I am the Almighty God. I give to you, My Divine love. I love you, I love you, I love you. I will fill you with such love as you cannot imagine, but you must surrender and let go. You are the one that keeps Me from uniting with you. You must let go. You must die to yourselves and you will have peace and love in your heart. 8. R. Life flows from the Father, in the Holy Spirit, through the pierced Heart of Jesus, through the heart of Mary and into our hearts. Let us dwell in the Hearts of Mary and Jesus that we may be bathed in such love. It is there that we will find refuge, It is there that we will know love, that we will be able to love as He calls us to love, for God is love, His way is love. To be one in Him is to love. Jesus: I call you, My dear ones, to come to My Heart, to surrender and to give your all to Me. I spread My arms, I held not back, I gave My all for love of you. I want to be with you forever and ever in heaven. Surrender and help My poor, poor souls this day with your acts of love. Many souls will be condemned forever to the fires of hell for their mortal sins and their willfulness and for their pride, for their hatred. Will you love? Will you love those cold hearts? I sacrificed, I gave Myself on the cross. You will touch the hearts with your love. Pray to the Holy Spirit to fill you with the fire of God’s love. You must dwell in Our Hearts. Consecrate your hearts to Our Hearts. It is your acts of love that comforted Me during My bitter Passion. I want the souls to come to Me. I gave My life for each soul. How you act this day will make a difference in the lives of many souls. This world will be lighted with the fire of God’s love but it must be burning inside of you. You must die to yourselves that I can live in you. I am Jesus. I have spoken. Love is sacrifice. I gave Myself for you, but the benefits of this love in your heart is peace and joy. Surrender. I am with you at every second. I love you with the deepest love.